Pujol became a poultry farmer and a manager of a small hotel. (2) During the Spanish Civil War he developed a hatred of fascism and in January 1941, he offered his services to the British Embassy in Madrid. (3) However, his offer was rejected because of suspicions that he was a German agent. Pujol posed as the employee of a large fruit and vegetable importer who did much business with Spain and Portugal from Covent Garden market. "He spent seven days a week, averaging six to eight hours a day, drafting secret letters." (11) His first project was Operation Torch, which was the first major Allied offensive of the war invasion of the Second World War. Planning the invasion of French North Africa began in July 1942. Pujol was one of eight double agents were used to pass disinformation to the enemy. 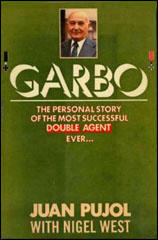 As MI5 wanted to use GARBO in later operations, it was agreed that he should send accurate details of the planned Allied invasion. However, it was arranged for these reports to be delayed in the post. They did not reach GARBO's case-officer until 7th November, a a few hours before the Allied landings and after the invasion force had already been spotted by the Germans. 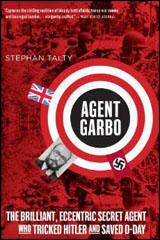 It did not occur to the Abwehr to blame GARBO for the delay or to suspect the involvement of British intelligence. His German case-officer told him: "Your last reports are all magnificent, but we are very sorry they arrived late." Duff Cooper reported to Winston Churchill that "GARBO works on average from six to eight hours a day - drafting secret letters, enciphering, composing cover texts, writing them and planning for the future. Fortunately he has a facile and lurid style, great ingenuity and a passionate and quixotic zeal for his task." (14) As a result of receiving this information Churchill apparently said: "In wartime, truth is so precious that she should always be attended by a bodyguard of lies." Christopher Andrew has explained how the strategy worked: "During the first six months of 1944, working with Tomás Harris, he (GARBO) sent more than 500 messages to the Abwehr station in Madrid, which as German intercepts revealed, passed them to Berlin, many marked 'Urgent'... The final act in the pre-D-Day deception was entrusted, appropriately, to its greatest practitioners, GARBO and Tomás Harris. After several weeks of pressure, Harris finally gained permission for GARBO to be allowed to radio a warning that Allied forces were heading towards the Normandy beaches just too late for the Germans to benefit from it." 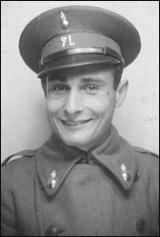 (17) As a result of his role in the success of the D-Day landings, Juan Pujol was awarded the OBE on 25th November 1944. Juan Pujol García died in Caracas on 10th October 1988. Donald Darling of M19, in charge of escaped prisoners of war and anybody else wanting to return to England, met Pujol, gave him money, showed him around Gibraltar and generally looked after him for two weeks. Donald quickly came to the same conclusion as Gene about Pujol, and with his sharp sense of humour named him Mr Bovril; this was to prevent that sinking feeling coming over any of us. The final message sent from us at St Albans confirming the go-ahead eventually put Mr Bovril in a seat on a Sunderland seaplane headed for Plymouth. On the evening of April 25th the Sunderland landed in Plymouth harbour. Mr Bovril was met by Cyril Mills and Tomas (Tommy) Harris of MIS. The following morning Harris and Mills escorted Bovril on the train to the Royal Patriotic School for initial interrogation and filing of his arrival in England. was Captain Richards. Juan, a short man with slicked-back dark hair revealing a high forehead, and warm brown eyes with a slight mischievous glint, smiled as I shook his hand. The room was sparsely furnished, with just a table and four chairs set against a window overlooking the small back garden of the semi-detached house. I spent the next four hours translating the messages he had sent to the Abwehr into English. In the afternoon I started the preliminary debriefing. As the representative of M16, it was my task for the next eight days to interrogate this enigmatic Catalan. GARBO works on average from six to eight hours a day - drafting secret letters, enciphering, composing cover texts, writing them and planning for the future. Fortunately he has a facile and lurid style, great ingenuity and a passionate and quixotic zeal for his task. The Nazis rated him their best spy in England; the Brits said he was the greatest secret agent of the war.... Many people dream of becoming spies. Life as James Bond or a character from an Alan Furst novel seems racy and well-paid. But when faced with actual espionage the training, the danger, the use of other human beings for motives that can feel questionable or even sordid - they forget about it. They move on. Juan Pujol didn’t move on. At the beginning of World War II, this brilliant young Spaniard wanted to “start a personal war with Hitler,” and espionage was his chosen method of doing it. He was willing to risk his life—and that of his gorgeous wife, Araceli—to have a great adventure and perhaps save the world in the process. There were a few problems with this plan, though. Pujol wasn’t a spy. He was an ex-chicken farmer and hotel manager who was, in the spring of 1941, stuck in a one-star dump in Madrid. He had no training in espionage. He had no contacts in the espionage world. He was living in a Fascist-controlled country that was infiltrated by thousands of Nazi agents and informers. He had about as much chance of becoming a world-class intelligence operative as you or I have of winning the gold in the Olympic steeplechase. Only one year later, Pujol had transformed himself into something almost unprecedented in the long history of intelligence. He was on his way to becoming a completely self-made master spy. By that time, Pujol was a rising star in MI5’s stable of double agents. The Germans trusted him implicitly. He conducted missions that involved global assets and caused the Nazis to send fighter planes and destroyers to attack convoys that didn’t even exist. The Allies were so in awe of his powers of confabulation that they’d given him the code name “Garbo,” because he was the greatest actor they’d ever seen. And when the Allies began planning D-Day, it was Pujol who was chosen to lead the deception effort. He would be the point of the spear in convincing Hitler that the Normandy landings, the greatest invasion in human history, was in fact a fake, and that a million-man army was about to attack him along another length of French coast. Pujol was going to be lead actor in the most complex wartime deception ever conceived. In doing the research for Agent Garbo, my book on Pujol, I discovered what became one of the more fascinating details of his story: at the time Pujol was being debriefed, his brother Joaquin had never been to France. He’d never been out of Spain. The story was a complete fantasy, created by Pujol to make sure the Allies believed him and that he would be allowed to live out his dream. Soon afterward, Pujol and Harris began one of the great partnerships in espionage history: they sent the Abwehr airplane manuals baked into cakes, created an army of 27 fake sub-agents to feed the Nazis fake narratives, made battleships vanish from the Indian Ocean and pop up thousands of miles away. An MI5 advance man toured the English countryside for hotels the imaginary informants could “stay” at and pubs they could describe in their bulletins. The Germans rated Garbo their best spy in England; he was even awarded the Iron Cross, something that amused Pujol to no end. A document has been published for the first time which proves that the Nazis were fooled by the Allies’ D-Day landing plans. The double-cross was so significant that it arguably shortened the length of World War II. It was a certain Juan Pujol Garcia, an apparent Spanish businessman, who is at the heart of this new discovery - for the part he played in convincing the Nazis that the Allies were planning to stage the majority of the landings in Pas de Calais, rather than the Normandy coast. An intercepted memo picked up by British agents and decoded at Bletchley Park, revealed to the Allies that Garcia’s lie had not just worked, but had altered Germany’s war strategy. The Allies knew in advance that Adolf Hitler and his troops had fallen hook, line and sinker for the plot. The Spaniard Pujol, known as Alaric Arabel to the Nazis, ran a network of spies in Britain, feeding information back to Berlin via his handler in Madrid. But in reality, he was working for the Brits (they knew him as Garbo) and his web of lies would mislead the enemy. The BBC has reproduced the document and the main takeaways are these: not only were many German troops kept in the wrong area, thus preventing them from swamping Normandy but the Allies knew in advance that their plan had worked. Indeed, lives were surely saved and the war was brought to a quicker conclusion.